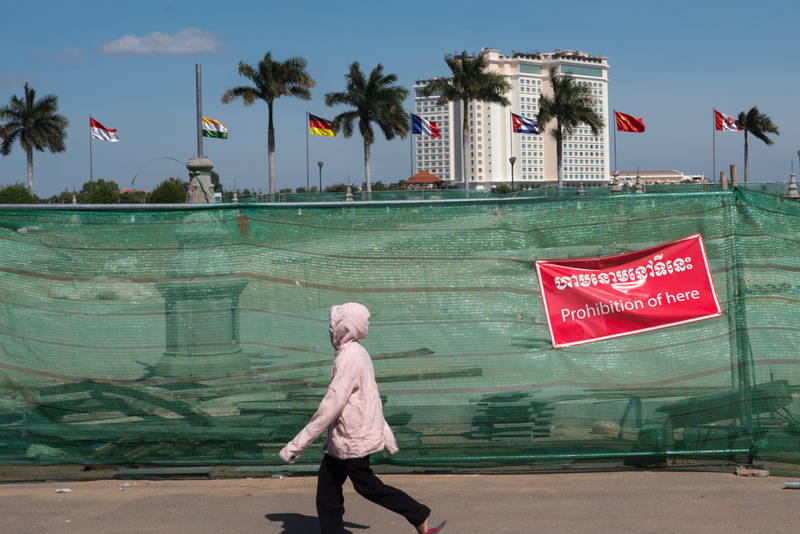 Cambodia’s capital has a bit of an odd reputation among travelers: most come to Phnom Penh only briefly, and many come only to see the genocide memorials. 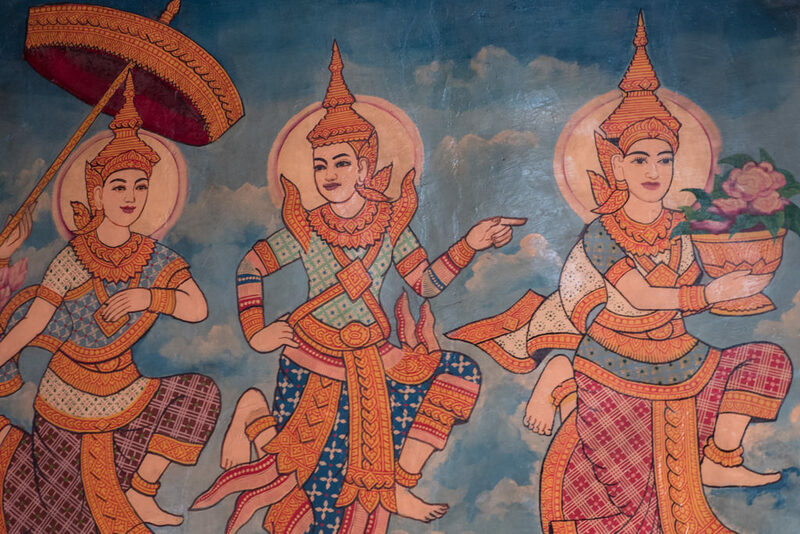 While these museums are definitely insightful and must-sees, you’ve really got to sympathize with this city being known mainly for its dark past and not for what it is today. 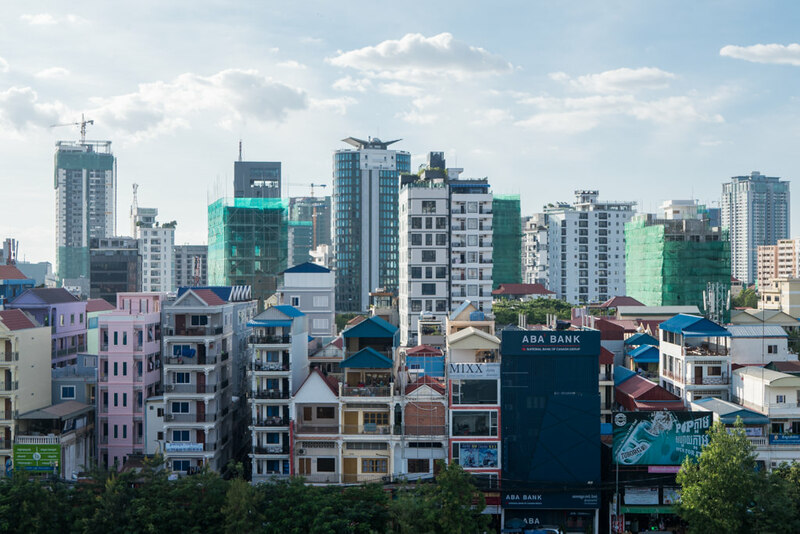 I first visited Phnom Penh in 2013 and re-visited recently in 2018 and while certain things certainly stay the same, you can also tell the city is transforming rapidly and gaining a middle class as new shopping malls and apartment blocks grow like mushrooms. The following are just some photos I took on my recent visit, along with some quick and unpolished commentary. Please scroll forth for some brief visual impressions, or check out my Cambodia travel guide for more travel tips for Cambodia at large. 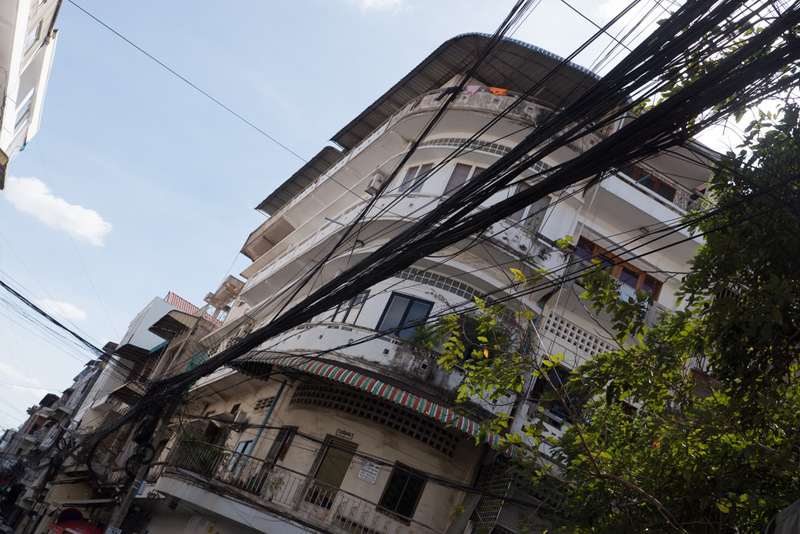 Much of downtown Phnom Penh looks like this; low-rise buildings, lots of tuk-tuks passing by, webs of telephone cables. It does have a certain charm, doesn’t it? 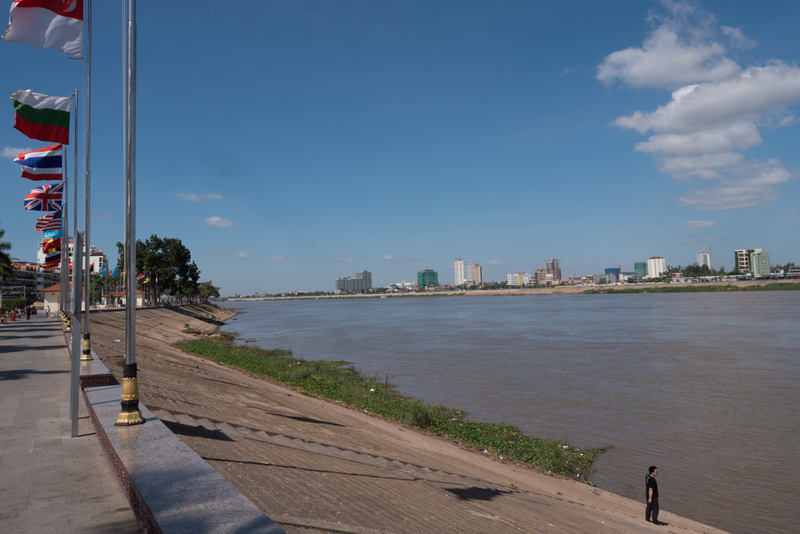 On the other hand, the Lonely Planet says Phnom Penh has the most “luscious location on the banks of the mighty Mekong”. It also talks of glimmering spires and “monks with fluttering saffron robes”. Just for the record, that luscious riverfront is just what you see in this photo. 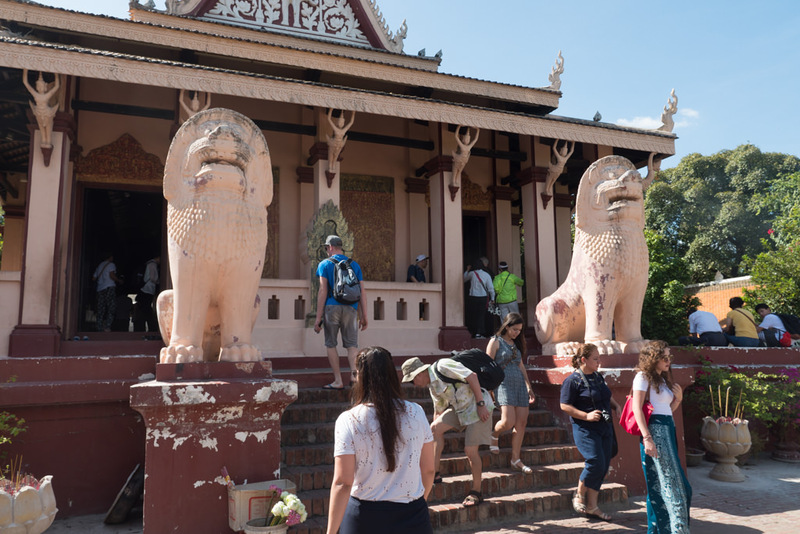 I think Phnom Penh gets glorified a bit in the travel literature at times. 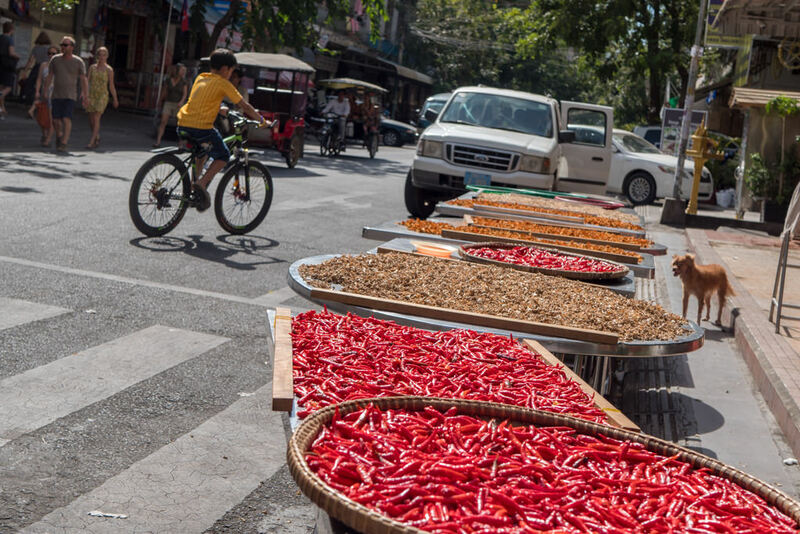 They keep calling it the Pearl of Asia, and so in. If you keep your expectations in check, I do think it can be a fascinating city to explore. 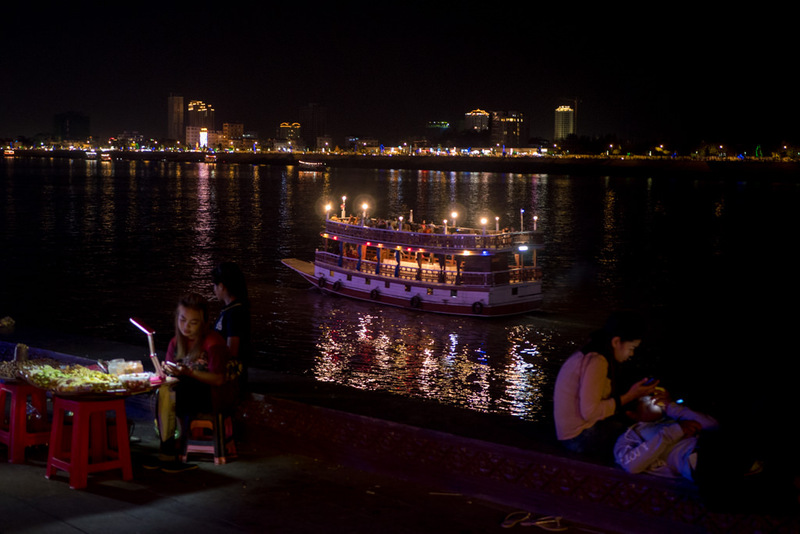 Admittedly, the waterfront gets a lot more exciting at night! I loved just walking around and observing the life here. 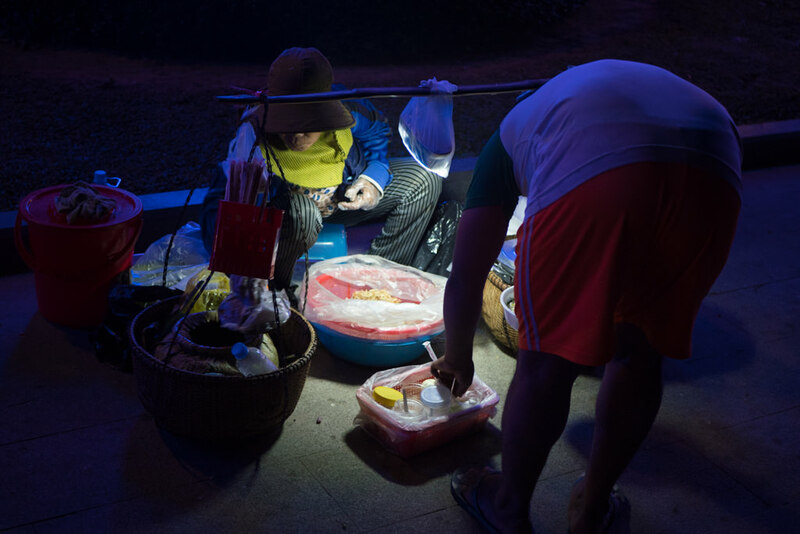 Lots of people were having street food, lots were coming to a shrine to burn incense candles and leave prayers. 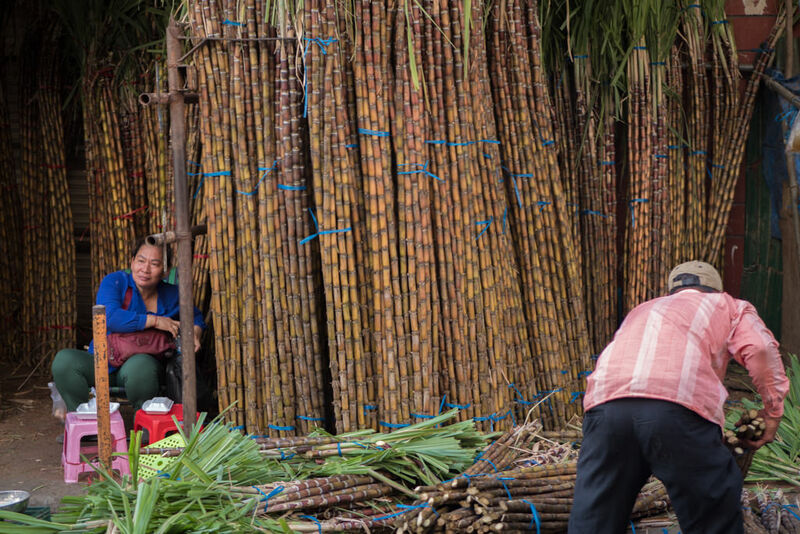 Above a group of Khmer picnicking. 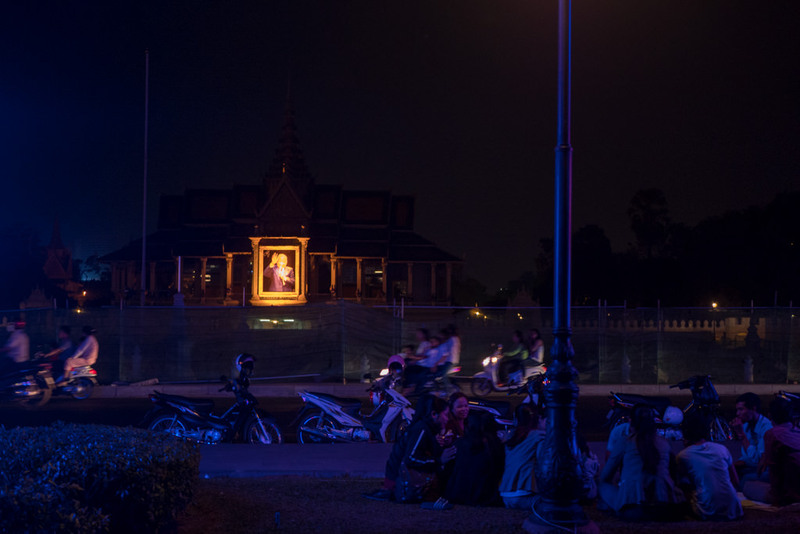 Illuminated in the background is a portrait of Cambodia’s previous king, Norodom Sihanouk. 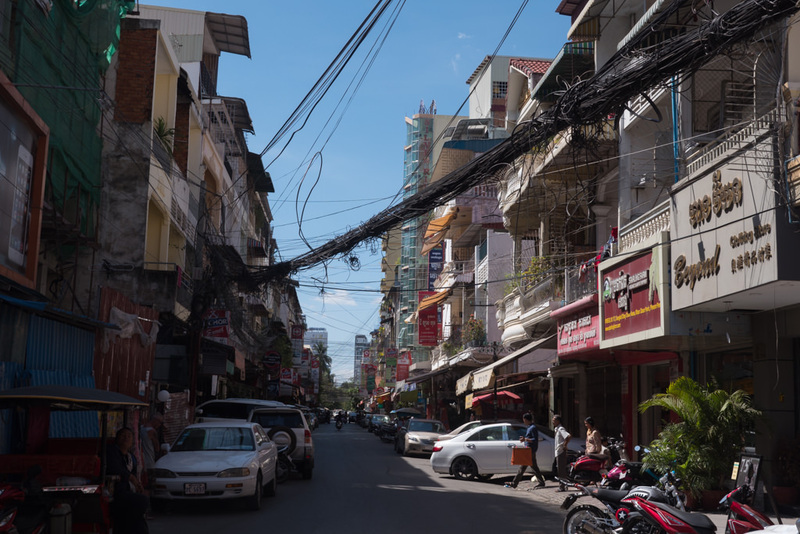 Below, a few more impressions of downtown Phnom Penh. Much construction is happening all over the city, with modern condominiums rising among some of the existing older architecture. 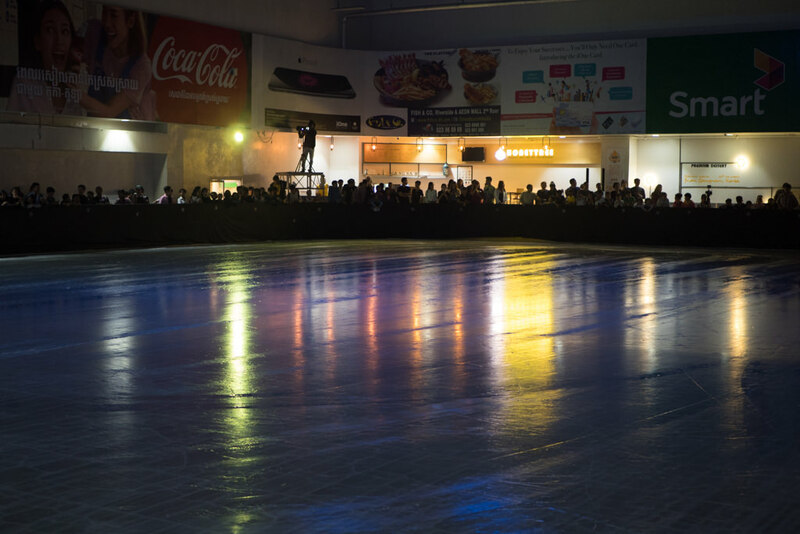 At the top floor of the Aeon Mall was, to my surprise, a huge air-conditioned ice skating ring. 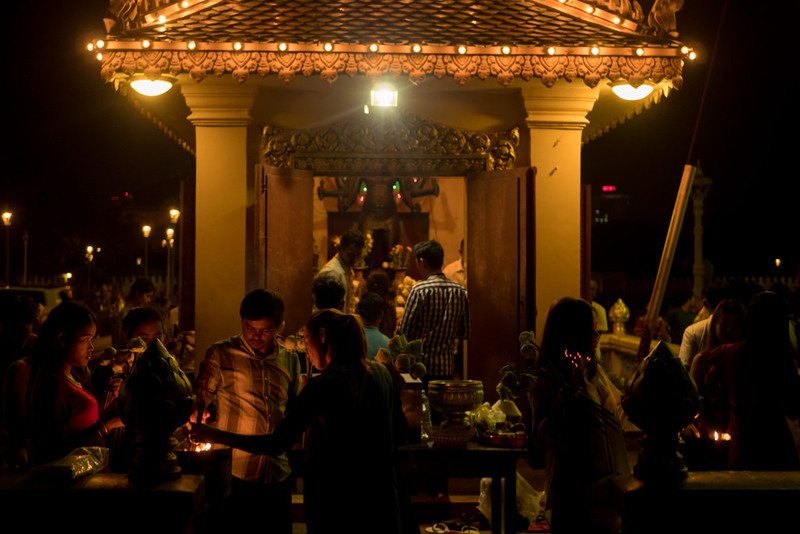 While Cambodia is nearly entirely Buddhist, Christmas does seem to be culturally and commercially a very big thing. People here were awaiting a Christmas themed ice skating show. ‘Let It Snow’ was playing, which is kind of odd when it’s 30° C outside. A construction site just outside the Royal Palace. I wonder if someone here used Google Translate? 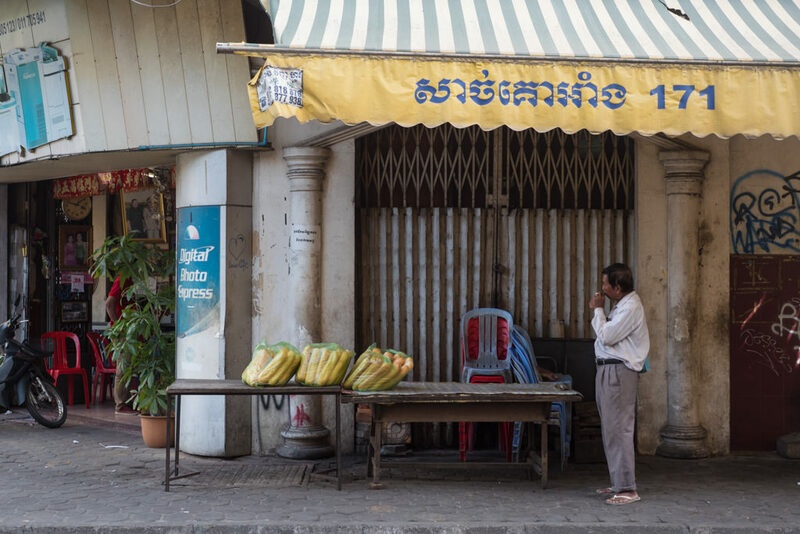 Baguettes are a common sight in Cambodia, thanks to decades of French colonial rule. 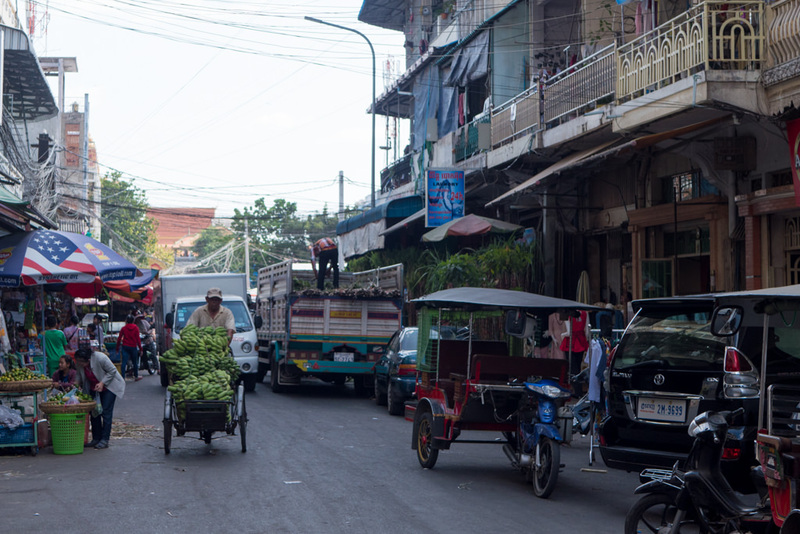 Many of the problems in Cambodia today can no doubt be traced all the way back to the days of colonial oppression. Anyway, baguettes, and also a lot of French colonial architecture. Interesting it is. 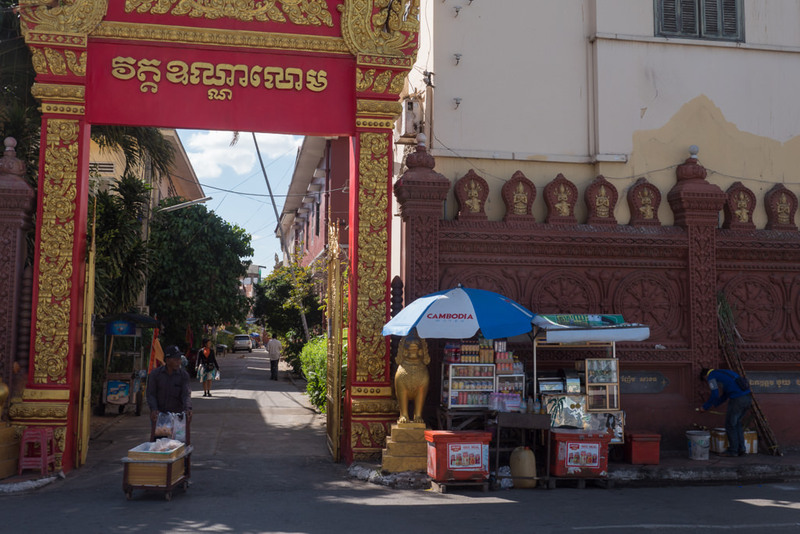 While wandering aimlessly I stumbled upon Wat Phnom, a Buddhist temple dating back to 1372. 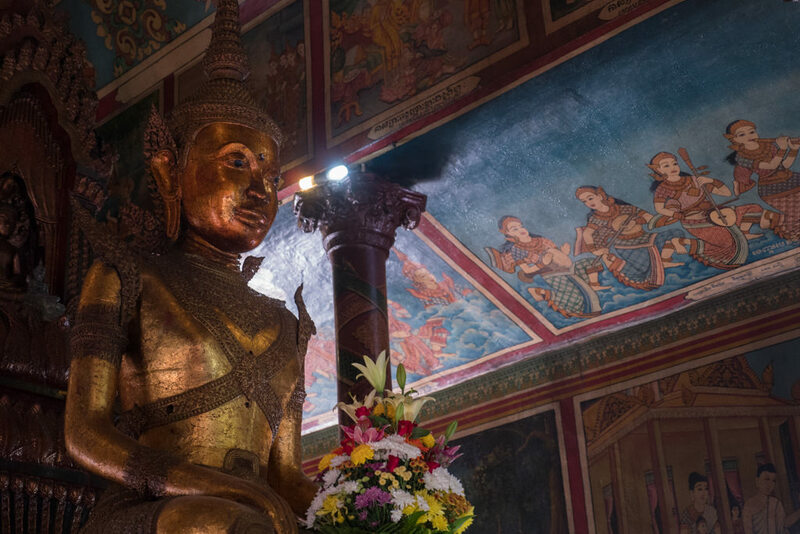 A temple in Asia doesn’t usually make my heart beat any faster these days (I’ve just seen so many! ), though this is certainly a nice one. 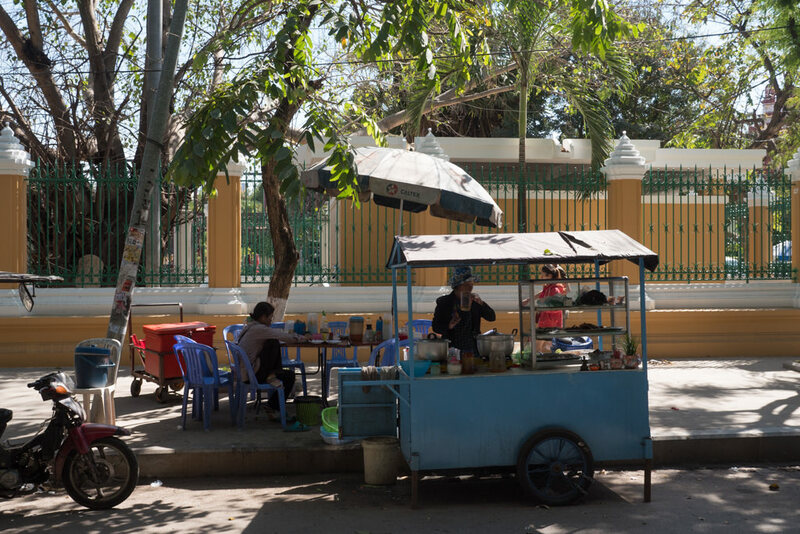 Street food is not quite as a big of a thing as it is in Vietnam or Thailand, but there’s still plenty of it in Cambodia. If you’re in Phnom Pehn, I’d definitely encourage you to do the usual tour to the Tuol Sleng Genocide Museum and the Killing Fields. 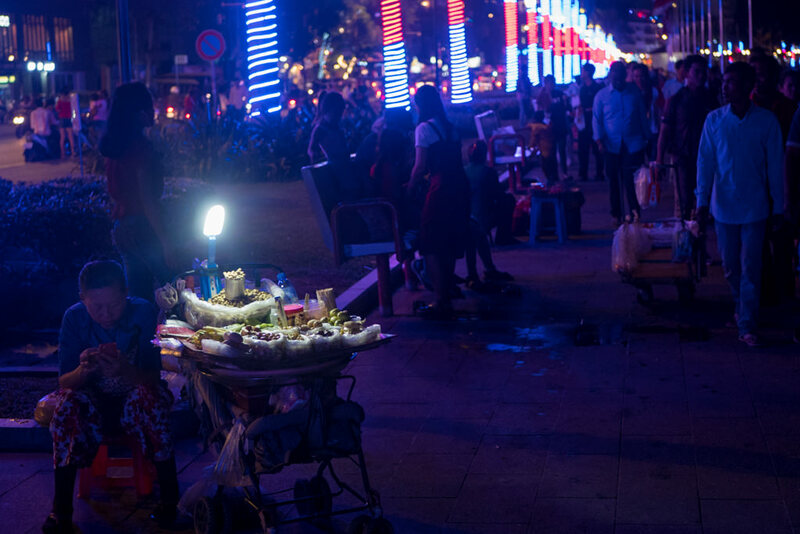 But it’s also very much worth wandering through the city, enjoying the cuisines, and checking out the nightlife. 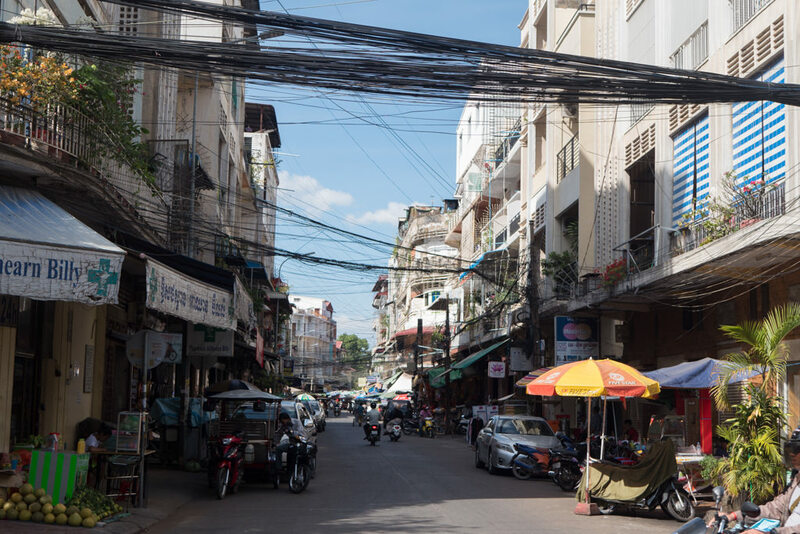 It has a very manageable (even walkable) size compared to other Asian capitals and has its share of little discoveries to make. 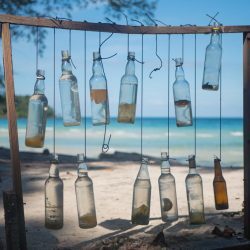 Up next, I’ll be posting some impressions of Koh Rong Sanloem. 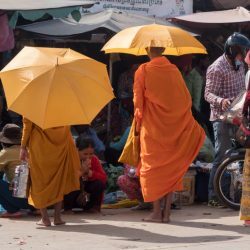 For travel tips and top places to visit, don’t miss my Cambodia travel guide. Hey Love your website and your book, which is the only literature that helped me properly plan my first big trip and calm my nerves. I would like to make a suggestion regarding your photography, and I don’t mean to be rude, but you should check out some tips on composition. I found the below article extremely helpful. It helped elevate my photography greatly and I highly recommend reading it. Thanks David! Aiii, you’re making me feel simultaneously proud and embarrassed 😉 Many of these were quick snaps to aid my memory, though I decided later to compile them into a post anyway! I think (hope?) I do a better job with composition elsewhere, though it’s a constant struggle to improve. That tutorial is very good.